He was born in Xi’an, P.R.China, on March 29, 1966. He received the B.S. and M.S. degrees in Electrical Engineering from Xi’an Jiaotong University, in July, 1987 and June, 1990, respectively. Then stay there as a teacher for the next eight years. With the scholarship from the Ministry of Education of Japan, he studied in Hiroshima University as a doctoral student from October, 1998 to October, 2002 and received the Ph.D. degree in October, 2002. 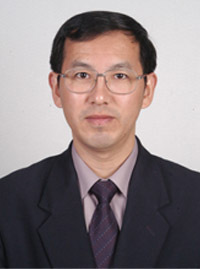 Now, he is with Hohai University as a professor, Ph.D. candidate director, dean of the School of Electrical Engineering and director of Energy Conservation Research Center. His research interests include power system operation analysis and control, power system programming and optimization, economical technology and operation management for electrical power, renewable energy and distributed generation.